The grill master dad was born with a spatula in one hand and a beer in the other. You need a side dish as true-blue as the meats he grills to perfection, and this is it. Hope you enjoy! 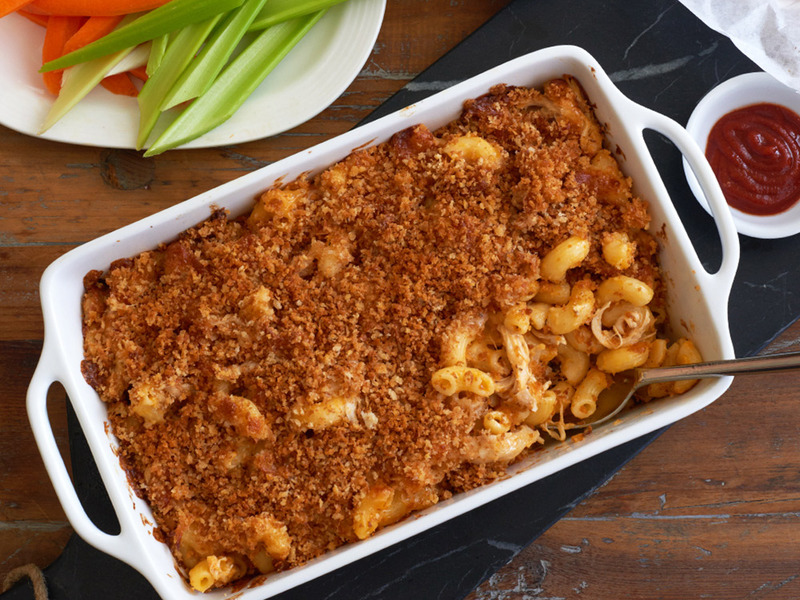 Prepare Three Bridges Creamy Cheddar Mac n Cheese per directions. Then add shredded chicken, hot sauce, ranch dressing and celery seed. Pour into a small oven safe baking casserole dish. Let cool for 5 minutes. Serve & enjoy!